The long summer days have gone but that doesn’t mean the fun needs to end. Here are 5 great ways to get the most out of Fall while keeping the most in your wallet. With the weather turning and the leaves falling, hayrides are a great way to have some fun with the whole family. Bring a blanket and some hot chocolate and enjoy riding through the fields. There is nothing quite like experiencing the Fall breeze and the beautiful scenery. With football season in full swing, it is always a great time to go find some friends and tailgate before your favorite football team’s game. High School to the NFL, as long as you have good company and good food, any tailgate is a good time. It is always smart to plan and create a menu so everyone knows what to bring and the cost is dispersed among the entire group. With the price of flights on the rise, a great way to have a fun vacation on a budget is to plan a road trip. Find a fun location within a couple hours of home and take a long weekend enjoying the trip. If you are able to get a group of people together, splitting the cost of gas and food will only lower the travel costs. This is a great way to go somewhere new and experience the lovely Fall scenery along the way. Fall is the perfect time to find a tent and head out to the woods. With the leaves turning and the weather at that perfect “not too hot, not too cold” temperature, there is never a better time to camp. With very limited expenses, camping is a great way to spend quality time with friends and family for very little money. Not only is it affordable, but it is always a great way to create lasting memories! Halloween is right around the corner, which means haunted houses are beginning their annual rise to prominence. While not for the faint of heart, haunted houses are a great way to spend an evening pushing your comfort zone and making memories. At an affordable price, haunted houses are a great way to get out and enjoy the fall festivities. 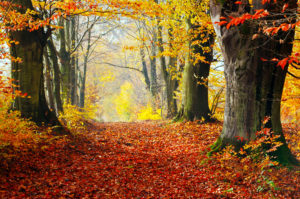 These are just a few of the fun and affordable Fall activities. Please comment below and let us know what Fall activities you like to do!